Manchester is a city born out of the Industrial Revolution and to this day remains vital to the British economy. However, despite its industrial history (or, perhaps, because of it), Manchester is a vibrant, colourful and cosmopolitan city, famous for its contribution to British art, music, history, media, sport and culture. There is a plethora of art galleries, museums and theatres, as well as some of the best shopping in the UK. Whatever your interests, Manchester has something to offer you and is an exciting choice of location in which to learn English! 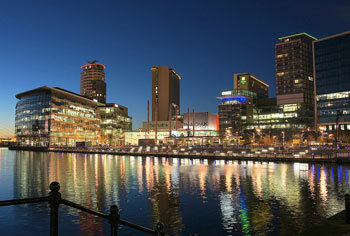 Manchester is also a great choice of location if you are planning to explore the rest of the UK during your time here. Home to the world’s first railway station, Manchester is exceptionally well connected to both the rest of the UK and Europe by road, rail and air. Just a short train ride away are the cities of Liverpool and Leeds (both of which are definitely worth a visit!) and the stunning countryside of the Peak District and the Yorkshire Dales. Mancunians are well known throughout the UK as being very friendly, warm and approachable. 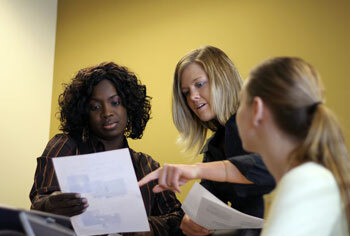 You are, therefore, sure to find it easy to get lots of practice speaking English. This, in addition to one of our high-quality English courses, should mean that you leave Manchester with much more confidence when speaking! Our school in Manchester is perfectly placed in the heart of the city, close to Piccadilly, the Arndale Centre and the Northern Quarter! The school is also close to two of Manchester’s main train stations which make it a great base from which to explore the rest of the UK. Your English lessons will take place in one of the school’s 8 classrooms and you will be able to make use of the school’s free wireless Internet whenever you like. Our students have a wide range of reasons for wanting to study English and our school in Manchester really does cater to all of them. The Semi-Intensive course (15 group lessons per week) and Intensive course (20 group lessons per week) tend to be the most popular choice, as they focus on improving the overall level of English, whilst also leaving students plenty of time to head out into Manchester and practice their English with native speakers. Being able to speak English is a huge asset in the world of international business and our school in Manchester offers several Business English courses designed specifically to improve students’ capacity and confidence in speaking English within a professional environment. The school also encourages students to meet local business people, both as a networking opportunity and as an opportunity to use what they have learnt in a practical situation. The IELTS exam is a standardised test of English language proficiency and is required by some universities and employers in some English-speaking countries. Our school in Manchester offers courses to help students prepare for this exam. The course consists of 15 general English lessons per week, which will improve your overall level and 5 workshops (usually taken on two afternoons) per week which will focus on the skills required for the exam. If there is anything in particular that you would like to cover in your lessons, you could choose to add some private lessons, or even take a course solely of private lessons. This is the most flexible course option and will allow you to negotiate the content and schedule with your teacher. The only way to really experience British culture is to live it and this is one of the main benefits of staying with a host family. This accommodation option is perfect if you wish to get as much practice as possible in using English in a practical way with native speakers. Host families are carefully selected to make sure that the accommodation they offer is both safe and suitable for students. 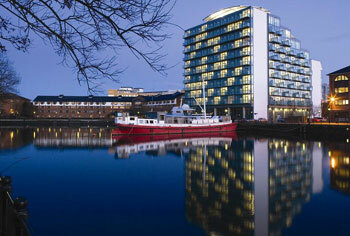 This accommodation is usually located 20-30 minutes from the school by tram, which is very good for a city of this size. Please note that if you are travelling alone, you should book a single room, as shared rooms are reserved for two students travelling together. In July and August we also offer student residence accommodation. All rooms do have an en-suite bathroom and you will have access to a shared kitchen. Please note that these are university halls which the school use during the summer months and so, whilst they are comfortable, they are fairly basic and tend to be most popular amongst students in their 20s. Our school in Manchester does not offer cultural activities. However, the friendly staff will always be very pleased to advise you on activities that you and your fellow students could arrange yourselves. 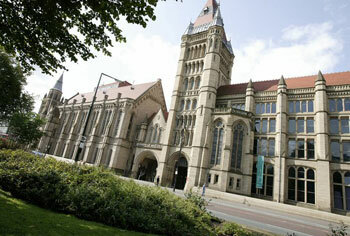 With so much to see and do in Manchester, you are sure not to be bored! 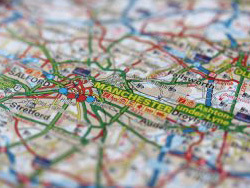 As the capital of the North-West, Manchester is extremely well connected to the rest of the UK and Europe by road, rail and air. Manchester has its own airport, but you could also consider flying into Liverpool or Leeds. All three of these airports are served by the low-cost airlines, making Manchester an inexpensive choice of location.